TextExpander becomes the latest to switch from flat pricing and upgrade fees to subscription pricing with a continuous release cycle. TextExpander, a macro-expansion and fill-in form utility, switched Tuesday from a version-based license fee to a recurring subscription model, which can be paid monthly or yearly. In making this move, Smile, its maker, put itself squarely into the ongoing discussion of how software companies can continue to develop and improve their products while consumers’ price expectations have been reset by mobile apps. Neither version will stop working, but Smile says they’re the last releases that will use file-based sync services, like Dropbox and iCloud Drive. The new versions use Smile’s own cloud services, and allow sharing continuously updated snippets with other people and groups. Rather, it’s a shift in intent that comes with a price tag attached. Smile has made the next TextExpander apps free to download, expanded into Windows, and added a website hub for managing sharing and business teams. Like a number of other developers, this change is a recognition that continuing survival requires stepping up more fully into the business market. Developers find themselves pulled in many directions. Apple’s iOS and Mac App Stores charge a 30 percent fee on all software and in-app digital purchases sold, and the iOS version is the exclusive way to deliver native software to iOS users. Neither App Store offers trial software or an explicit upgrade path. Developers can create a bundle that contains separately released apps, say version 3 and version 4, and then discount the bundle so that it’s effectively an upgrade for version 3 users. But it’s wonky and has to be explained to buyers, the old version of the app has to remain for sale, it requires a separate release path for the new version, and offers no way to notify owners of existing versions directly. Among other things. Inflexibility in the business model and issues with restrictions due to sandboxing in OS X—sometimes enforced on third-party apps and bypassed by software made by Apple and sold in the App Store—have led some prominent independent developers to abandon it, including Panic and Bare Bones. Long-time developer Brent Simmons (known best for NetNewsWire, and now at Omni Group) wrote a month ago that the best bet for independent developers is making Mac apps and selling them outside the App Store. The App Store models have also trained several years of new users—and retrained veteran ones—to expect prices in the low dollars even for extremely useful apps that are updated indefinitely at no cost. This bites long-time developers like Jon Gotow, who released a fully rewritten version of his long-running Default Folder utility. After announcing upgrade pricing of $15, he received enough angry email that he posted a blog entry, which noted he hadn’t charged for any previous upgrades across eight years. Another veteran develop, Dave Nanian, has never charged for upgrades to SuperDuper, relying on a continuous stream of new users. At the same time, an evolving model for software subscriptions has had its bumps and scrapes. Subscriptions have existed in the corporate world for a number of products since the dawn of computing, but Adobe’s Creative Cloud switch in 2013 to a $50-per-month subscription brought the strategy to a larger community of creative users, a mix of professionals and “prosumers.” That latter category of people describes high-end amateurs, who want the same tools (or hardware) as the pros, but typically aren’t making money as an employee or a contractor in the field. Adobe faced a lot of anger when making this switch, even though its standalone products could cost several hundred dollars and its Creative Suite bundles into the thousands. Many users, especially prosumer and small business, weren’t paying for every upgrade, but would shepherd some packages across years until operating system updates finally killed them. A Change.org petition in 2013 to encourage Adobe to retain standalone pricing garnered 50,000 signatures—albeit out of millions of Adobe product users. A year after its debut, Adobe added a $10 monthly rate for a photography bundle (Photoshop and Lightroom), and later a $20 a month option for a single app. The subscription switch also seemed to bring new life to competing image-editing and vector-art apps in OS X, at least, many of which were priced very low to encourage sales. With this in mind, I spoke to Greg Scown, Smile’s cofounder, about making the leap from flat licenses fees to licensing. He sounds surprisingly unterrified. “I am excited. I know the village is a little unhappy today,” he says, acknowledging the intensity and array of public feedback. But Scown says that the company’s biggest limit was pushing forward in multiple directions without a way to have recurring income, while also routinely and unexpectedly asking users to pay for upgrades. Scown says subscriptions let Smile incur per-user, per-month costs for cloud-based apps and hosting. “Trying to eke that out of irregular purchases and upgrades—it’s a little dangerous” as a sustainable, reliable path forward for development, he says, both for the company and for users who will come to rely on the features. The new model lets Smile add automatically updated shared snippets. The closest previous option outside of a user’s own synchronized set was to export a file that someone else imported. “The data is immediately out of date,” he says. This sort of feature may be less important for a solo home user, unless her family also uses TextExpander, but is perfect for workgroups. Scown says he was updating customer-service responses today, and delighted in the knowledge that all of Smile’s staff had those immediately on hand as he saved them. Smile will also continuously release new features, without breaking backward compatibility. This first release of new apps, including a Windows beta, and the associated web app requires a browser to manage sharing. It’s fair to assume that will change as the new product matures. Scown says there are a number of features that were impossible to build on top of iCloud, Dropbox, or other services, especially around monitoring changes in information. For instance, Smile could let you trigger an email whenever a snippet is updated, or offer an integration with Slack, to post a message in a channel. He says people today use AppleScript and the IFTTT service to accomplish tasks Smile could offer centrally in the future. AgileBits, makers of 1Password, recently added business-based securely shared online team archives, and then a cheaper family option. 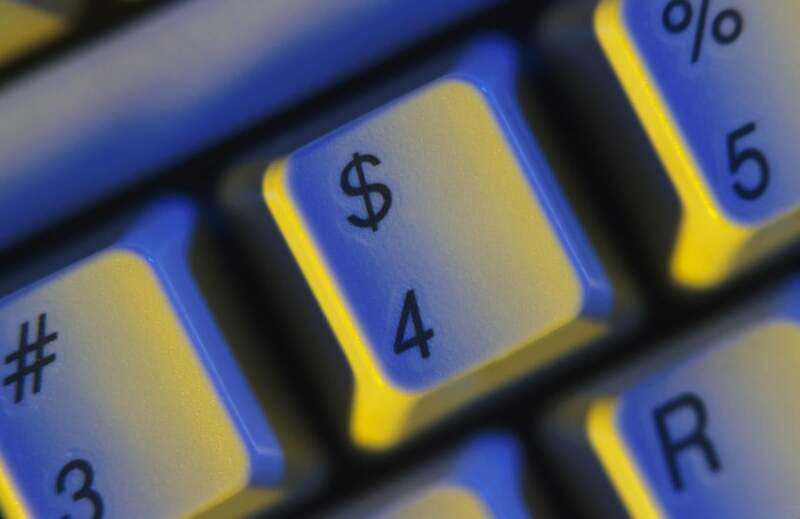 Both family and business teams have recurring fees. But AgileBits has kept its standalone product available: the mobile apps (iOS and Android) are free to use and a $65 purchase unlocks OS X and Windows for a single user. Smile has effectively pivoted to offer just a higher-priced package aimed at users with more complicated needs. 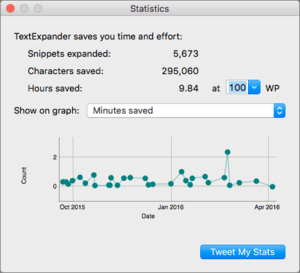 TextExpander has saved me 10 hours over several months; does that make it worth a monthly recurring fee? Scown notes, “If someone has decided they are an island and they will never share with anyone and only ever use their own snippets ever, ever again, maybe we have brought ourselves to a point where we have less for that particular individual.” Scown suggests users take a look at TextExpander’s Statistics view, which shows keystrokes saved and estimates time based on an average typing speed; I’ve apparently saved 10 hours since last October. Smile is in an interesting position, releasing this update after shaking down bugs in its major updates last year, and continuing updates as El Capitan and iOS 9 matured. The immediately previous releases don’t require compatibility updates, and the new versions only add sharing and team features. Thus, the change affects existing users who are looking forward to future features they would want, but won’t get unless they subscribe, and the notion that if they ever stop subscribing they lose access entirely to expansion. The data remains exportable from desktop clients, however. I use TextExpander by Smile many times a day. I’m happy to pay for updates. But, I really can’t abide another monthly subscription. As noted above, the current releases of TextExpander didn’t stop working and will likely work for a while to come—maybe several years. We’ll certainly be writing more at Macworld about non-subscription alternatives, even though users of the earlier releases don’t need to switch. For Smile, this move seems pragmatic and reasonable when looking at the overall software landscape. There’s not an ever-growing audience of regular users for expansion software, especially as TextExpander grew to include more sophisticated features. iOS’s support of expansion (via a keyboard alternative) is awkward, and represents the largest user growth. For Smile to have a path forward, pursuing its existing business audience with the addition of cloud-based sharing, and finding a way to reach new business users who are used to subscription fees for such services makes perfect sense. It just makes a lot of current users feel abandoned, which also makes sense, even if the software keeps working.